Google Earth is celebrating the life and times of The Beatles with a virtual tour showcasing the highlights of their career. This virtual tour makes use of Voyager, Google Earth’s storytelling platform. The result is a whistlestop tour of the most important locations The Beatles visited. Some albums are so iconic they live on after the musicians who created them have passed. So it is with Sgt. Pepper’s Lonely Hearts Club Band by The Beatles. Which has already outlived John Lennon and George Harrison (and possibly Paul McCartney too Paul is Dead: How the Internet Fueled The Beatles Conspiracy Theory Paul is Dead: How the Internet Fueled The Beatles Conspiracy Theory Did Paul McCartney, legendary musician and member of The Beatles, actually die in 1966 only to be replaced by a lookalike? Probably not, but the "Paul is Dead" conspiracy theory simply refuses to die. Read More ), and is likely to keep gaining new fans for many more decades to come. Google has put together a Voyager tour for Beatlemaniacs everywhere. It starts at The Cavern in Liverpool, where The Beatles began their career, takes in Hamburg in Germany and Rishikesh in India, and ends in Central Park in New York where a Strawberry Fields memorial is dedicated to the memory of John Lennon. 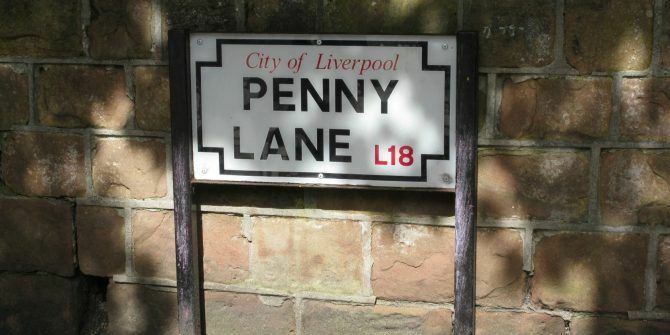 This virtual tour is obviously aimed at fans of The Beatles first and foremost. However, anyone who has even a passing interest in the band should be able to glean something interesting from the experience. And after you’ve completed the tour we recommend listening to The Beatles’ music Why The Beatles Embraced Streaming and Why You Should Too Why The Beatles Embraced Streaming and Why You Should Too Music fans got an early Christmas present when, on December 24th, 2015, all of The Beatles' major albums were released on Spotify, Apple Music, and other streaming services. Here's why that matters. Read More . Especially Sgt. Pepper’s Lonely Hearts Club Band. Have you ever listened to Sgt. Pepper’s Lonely Hearts Club Band? Can you believe it has been 50 years since it was released? Have you discovered The Beatles recently thanks to a music streaming service? If so, which one? Please let us know in the comments below! Explore more about: Google, Google Earth, Google Street View.